I was out of groceries last week and was in the mood for some down home cookin’. My girlfriend had mentioned a place called Rolling Pin Café before, so I called her up and off we went. 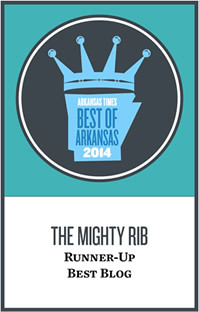 Rolling Pin Café is located about 12 minutes from campus in East Fayetteville. Don’t be alarmed if you’re having trouble finding the place … it’s just around the Firstcare Family Doctors of Fayetteville. As soon as I walked in, I was instantly hooked. This is definitely a local, back roads café. 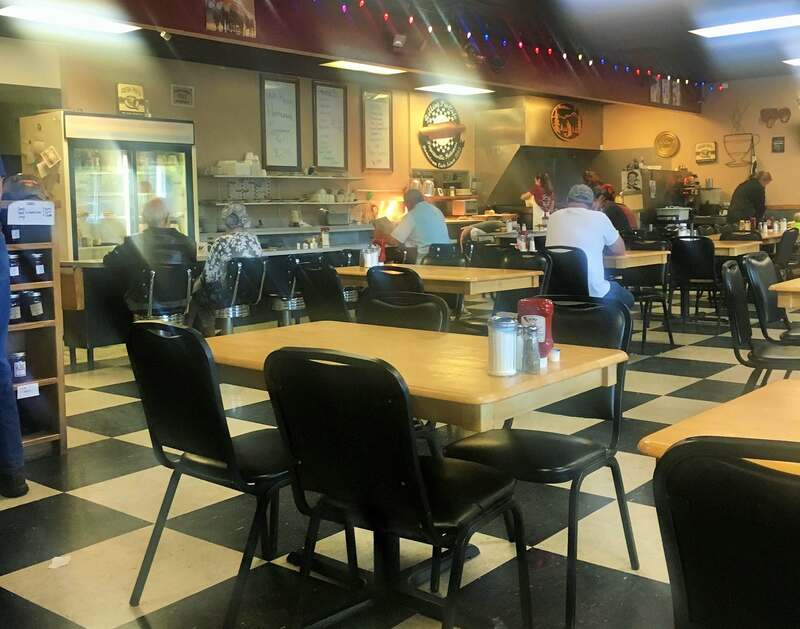 They have a lower bar much like you’d find at a Waffle House, along with standard booths and tables and a general décor that reflected a John Wayne theme. Heck, the coffee cups even read, “Coffee Up Pilgrim.” The walls were adorned with photography from local artists which were also for sale. Enough about the atmosphere, let’s get to the food. My girlfriend ordered the French toast and I got two eggs sunny-side-up with some extra crispy bacon (don’t judge me but I like when my bacon snaps like a twig), and one biscuit with sausage gravy (very important). 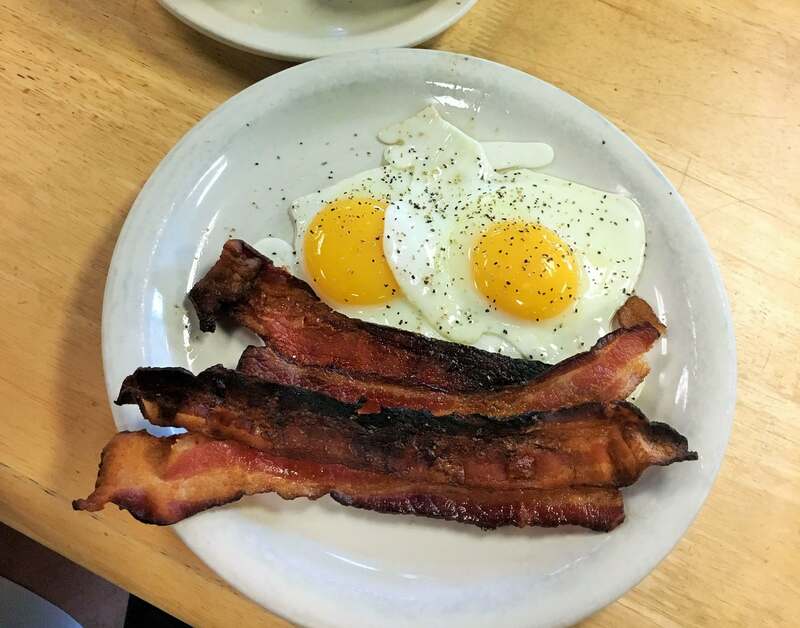 The eggs were cooked to perfection with a runny yoke that acted as an excellent condiment for my bacon. The home run of the dish was without a doubt the biscuit and sausage gravy combo. The thick, buttery biscuit and creamy gravy proved to be a perfect blend, making it one of best versions I’ve ever eaten. 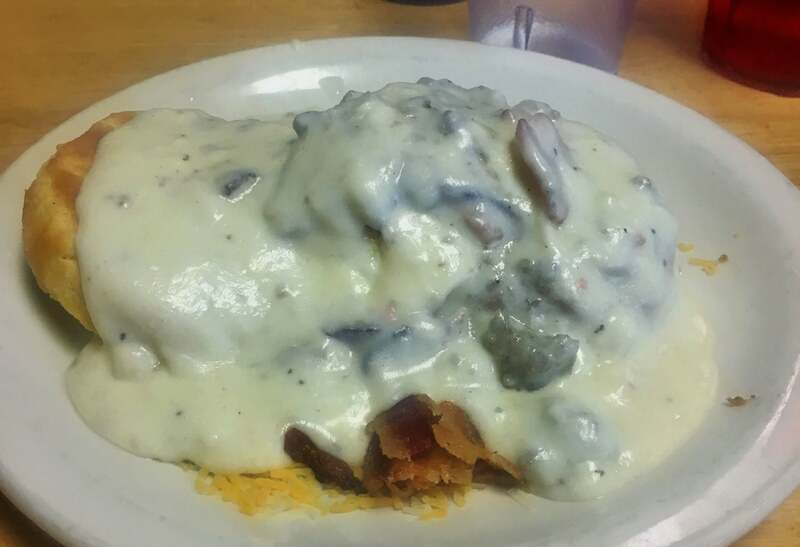 Curiosity got the best of me two days later, and I returned to Rolling Pin Café to order the “Rolling Pin,” a monster, open-faced biscuit topped with one egg (over-easy), cheese, and a choice of sausage, bacon, or ham … all smothered in gravy. Talk about a breakfast of champions. Overall, the “Rolling Pin” was enjoyable, but I was definitely more satisfied with the bacon and eggs with a side of biscuit and gravy. I definitely recommend you give Rolling Pin Cafe a shot. It doesn’t hurt they also have some of the friendliest restaurant staff around.